98 Kindly excuse the transition to first-person. 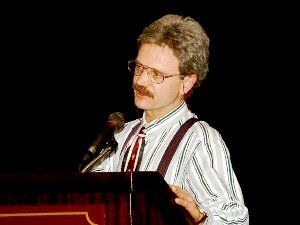 During the early summer of 2008, I was asked by the Middlebury Institute to prepare a paper and presentation for that year’s Third North American Secessionist Conference, to be held in Manchester, New Hampshire the upcoming November. I had already discussed with Thomas Naylor, founder of the SecondVermont Republic, the merits of changing his designation of New Acadia to Novacadia. Mr. Naylor had no problem with change nor the motives for. Kirkpatrick Sale, head of the Middlebury Institute, had requested the paper based on my prior secessionist work dating back to my short involvement with the Green Party of British Columbia, membership from 1984 – 1986. In 1985, prior to resigning from the party and its executive in 1986, I had put forward a motion to the Vancouver Chapter of the Green Party of British Columbia to incorporate a secessionist policy for the GPBC around the bioregional notion of an independent Cascadia. The motion did not get beyond the Vancouver Chapter. (See: Appendix V.) The last kick at the can via BC provincial politics was in 1990 with the short-lived Pacific Party. Note that all of this was taking place while Harold Covington was still down in Dixie prancing around in Nutzi garb. In 1991 (pre-Internet, ergo no cyberspace presence), I had an op-ed article published by one of Vancouver’s two dailies, The Province, again promoting the idea for an independent Cascadia. Within a year of introducing the secessionist concept of Novacadia at the Third North American Secessionist Conference in 2008, it received recognition by the Wall Street Journal in June, 2009, in the article, Divided We Stand. The WSJ’s secessionist article had been preceded by the global attention generated by the Russian geopolitical theoretician, Prof. Igor Panarin, just three weeks after the Third North American Secessionist Conference was held. Panarin asserted that the United States would break up into several countries, which in turn generated related coverage for the secessionist story by the Amerikan mainstream media, in particular, Glenn Beck. After a 23-year hiatus from direct political involvement and membership with any political party, all of this latter activity paved the way for a run at the leadership of the Green Party of Nova Scotia in October, 2009. My platform was focused on the necessity to acknowledge the advent of Post-Peak Oil, a soft Ethno Nationalist plank, with added imperative for the GPNS to break from the Global Greens. Folded into the latter two positions was a cloaked secessionist proposal for the recognition of Novacadia. My leadership platform also included a proposed merger between the GPNS and the Atlantica Party of Nova Scotia which, at the time, was still not incorporated. Jonathan Dean, the leader of the AP, was informed of my intent. Mr. Dean’s support was crucial for the merger with the GPNS to work. What I was prepared to ask for in return for engineering and coordinating the merger was the constitutional change of the GPNS name to the Novacadia Independence Party, with a relative secessionist mandate and implied Ethno Nationalist mandate inclusive. Mr. Dean did not deliver the bodies and I got smoked by the GPNS membership. Contemporary, by-and-large liberal, young Greens are as ill-informed about the Globalist co-optation of the Green Movement as they are to their own philosophical and ideological roots, to a significant extent Germanic National Socialist, of Deep Ecology, decentralization, and bioregionalism. Any mention of Walter Darré or August Haußleiter falls on deaf ears. The effort to merge the Green-oriented GPNS and the conservative-oriented AP, both fringe small fry, to gain a greater synergy and effectiveness for both was sincere, however premature and hopeless it may have been given ideological predispositions. 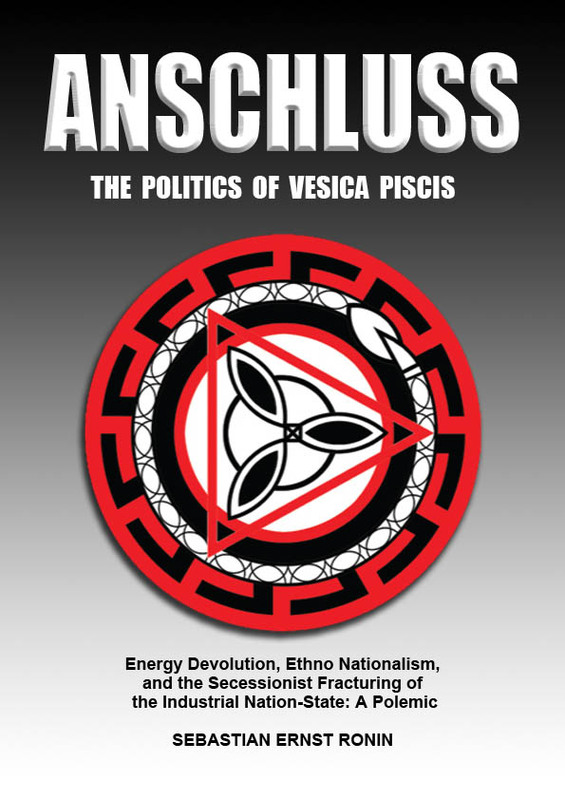 The effort was a learning experience and stepping stone towards the fully mature Vesica Piscis philosophy now owned by the Renaissance Party of North America and introduced to the public with this book. The leadership bid for the GPNS was a colossal failure, but it was a failure in the “real” world. My own political instincts were still rusty, having been removed from active politics for 23 years. The lessons learned and the merger tactic applied can easily be employed as direct merger initiatives launched by dedicated Ethno Nationalists to target weak parties in respective regional constituencies. What most NAmerikan White Ethno Nationalists need to realize is that if they are about to enter the realpolitik, secessionist pool then they will need to discard their keyboard-warrior water wings and step from the shallow into the deep end of electoral politics. The political window of opportunity to halt and begin to turn things around is likely about 20 – 30 years. If the window is missed, White Europeans on the NAmerikan continent can look forward to becoming a minority upon a sea of Globalist, socially-engineered racial and ethnic dystopia. If the window is missed, it shuts forever, and forever happens to be a very long time. Within two months of the disastrous run at the GPNS leadership, in early December, 2009, the only remaining individual holding any kind of an “official” tie to the defunct National Renaissance Party (United States) was contacted. Assurance was given by this individual, an ex-NRP member, that there was no outstanding paper attached to the NRP, and that it was in fact an empty shell. Official representation of the NRP was willingly surrendered and transferred to me. An inaugural executive was pulled together via the Internet, a chairman elected, and the name change to the Renaissance Party of North America and a Mission Statement were endorsed by the Executive. It was fully agreed that in no way was the RPN to be “White Nationalist” in any way, shape, or form. This was all put to bed prior to the public announcement of the launch of the American Third Position in January, 2010. A political synchronicity and abrupt evolution of the NAmerikan White Nationalist movement, coupled with the ideological salvaging of Green roots and principles, were in the air.